Charles is a Certified Financial Planner® Professional, having worked as a financial planner for over 14 years. 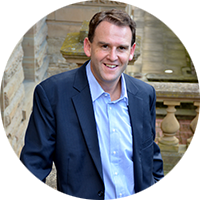 He previously worked in the legal profession with a major law firm and was admitted as a Practitioner of the Supreme Court of Tasmania and the High Court of Australia. Independent Financial Adviser (IFA) Excellence Awards – Innovator of the Year 2014. In addition to this, Charles was runner up for Tasmania in the 2012 FPA Certified Financial Planner® Professional Best Practice Award. Charles has written a self-help financial book “Old Head on Young Shoulders” which made the national best seller list. 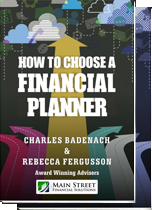 Charles has also co-written with Rebecca Fergusson two eBooks – “Secrets of Successful Investors” and “How to Choose your Financial Planner.” Charles is an associate member of the Financial Planning Association of Australia, the Association of Financial Advisers and the Law Society of Tasmania. Charles specialises in providing financial planning, risk insurance and investment advice for clients throughout Australia. The financial planning process starts with an initial meeting (at our cost) to discuss your needs, objectives and financial circumstances. 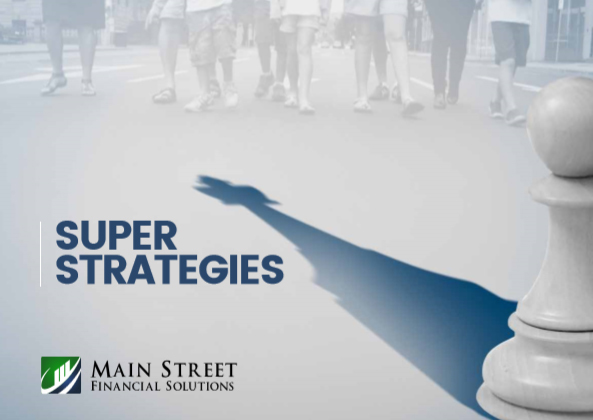 To ensure that this meeting is as productive as possible it is important that you bring along any relevant materials including a position statement and investment and risk MainStreetFS insurance details. We look forward to working with you.